Many people, especially as they get older experience floaters in their vision. Patients often describe floaters as black or grey spots, filaments or “bugs” in front of one or both eyes. Floaters may seem to move with and follow your eyes. We all have a type of ‘jelly’ or vitreous in the back of our eyes which is located just in front of the retina. The vitreous jelly changes, liquefies and eventually shrinks as we get older. These changes eventually lead to the vitreous ‘jelly’ pulling away or detaching from the retina behind it. This process is known as Posterior Vitreous Detachment (PVD). PVD is considered a normal process that occurs as we get older. For some patients, however, the pulling of the ‘jelly’ on the retina can result in a hole or tear in the retina and sometimes lead to a retinal detachment. 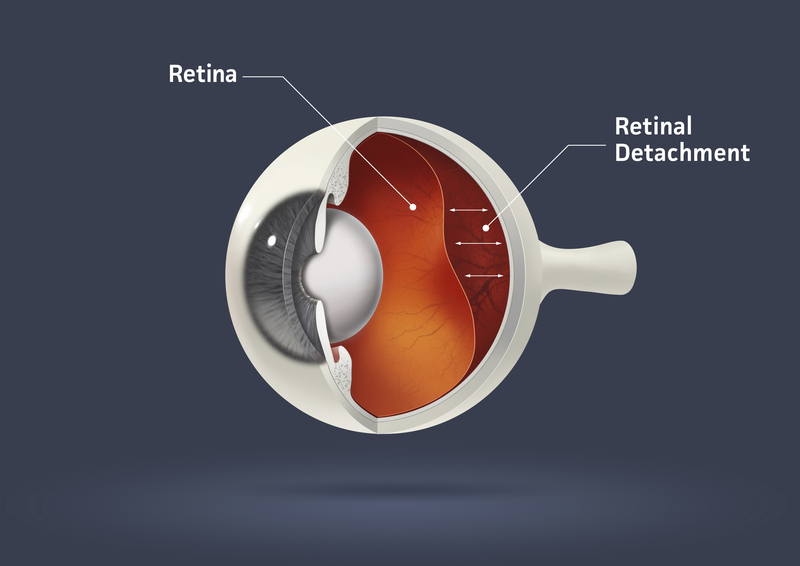 If caught early enough, retinal holes or tears may be treated before being allowed to progress to retinal detachment. *Certain policies have restrictions which do not permit us to make the claim on your behalf. In these cases, we will provide you with an official receipt. Free shipping on contact lens orders (minimum 6 month supply).